Our 11 gallon galvanized steel tubs include a wire-reinforced rim, heavy-duty body swedges, and an offset bottom. These key features enhance their rust resilience and durability, and their shiny metal finish makes them them ideal for both indoor and outdoor applications, including use as a simple drink cooler for your party guests. 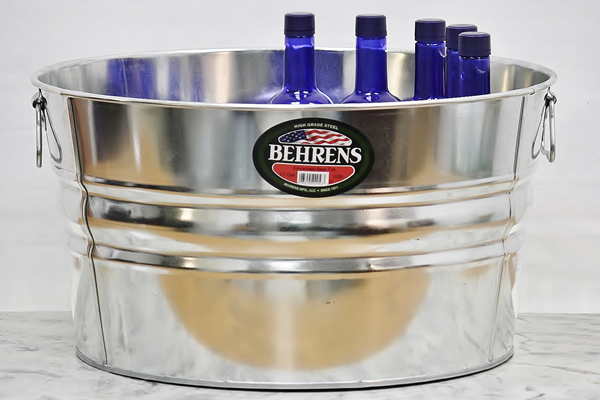 This 11 gallon wash tub holds up to 39 standard drinks. Your garage clutter will thank you for buying a nice big tub to keep it all in! This 11 gallon galvanized tub is also available in a timeless hot-dipped spangled metal finish. Select this tub in similar 15 gallon and 17 gallon sizes. 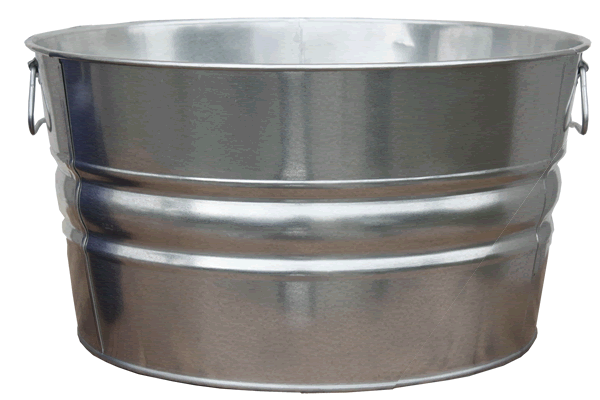 View our full line of galvanized wash tubs here.